What does God really see when He looks at us? I believe this scripture to be one of the most 'taken out of context' scriptures in the Bible. If you are a believer, a child of the Almighty God, then you're heart is NOT wicked, or deceitful. Not anymore. When reading scripture, it is so important that we remember the context in which His Word was written. This verse goes along with the old covenant. You, my friend, are living under the NEW covenant. So, what about our 'wickedness'? Well, Psalm 103:12 tells us that God has tossed our sin 'as far as the east is from the west'. Romans 8:1 says that God doesn't have one condemning thought towards us. God does NOT see sin when He looks at us. Period. John 3:16 says that 'whosoever believes in Him shall have everlasting life". If you believe in Him - believe what He did for you by sacrificing His Son Jesus to lay Himself bare before men, to die for your wickedness, to give Himself up for your judgement and rose three days later to sit at the right hand of the Father - if you believe in your heart, soul and spirit that Jesus Christ is the Holy Son of God - then Grace abounds to you. Your sin has been taken care of. When God sees you, He sees the you that He designed. He sees the real you and He loves you. Reading is one of my most favorite activities...I love it. Curling up on the couch with a good book is as good as it gets for me. I've traveled the globe with adventurers, I pioneered a lost planet with a race of ancient human beings, heck, I've even walked with Saul on the road to Damascus - and I did all with books. When I'm not reading fantasies, I'm immersed in Biblical literature. Here's a few I've read this week - be blessed and enjoy! Elijah, Steps to a Life of Power by Bob Saffrin - FREE on Kindle. The Acclaimed, Authentic Biography of the Early Church's Greatest Evangelist--the Apostle Paul. Master storyteller John Pollock makes Paul and his amazing story freshly alive, so that you can know the greatest apostle much as Luke and Timothy did as they traveled with him. As you turn the pages, you'll sense Paul's motives, his aims and priorities; what mattered to him; and what he was willing to die for. Light of Eidon is the first book in the Legends of the Guardian-King Series. It is set in a fictional land during a time similar to our middle ages. The protagonist is a prince who is the fifth-born son in his family with no shot at the throne. Feeling rejected by his brothers, and worst of all his father, he leaves the family and joins a religious order as a novitiate. The book begins as his 8-year novitiate term is over and he is about to take an oath to join the Brotherhood. It wouldn't be much of a story if everything went according to plan, now would it? Very quickly a mystery unfolds. The story accelerates to be a page-turner that makes it hard to put down. It is packed with adventure, action, conspiracy and mystery. There were several times where I thought I had the story "figured out" and knew where it was going, but I was wrong. I love it when I can be "gotten" like that! Since I just finished Light of Eidon, the story of the kings of Israel (1 and 2 Chronicles) has a pulse it never had before--it was like I added a little salt. I connected with Scriptures in a different way. On the other hand, having a good basis of Scripture--which I firmly believe is inerrant and factual--was a good rock to stand on while reading this fantasy novel. It's easy to get caught up in a good book, especially when that book is a good reflection of the One Good Story. Elise Fitzpatrick says in "Give Them Grace" that every story is a retelling of the One Good Story, just that some stories tell it more closely than others. Since I have read that bit, I have been filtering everything I read through this lens and it has been really interesting to perceive. Light of Eidon is a beautiful retelling of the Gospel and how it touches the lives of not only the protagonist, but of nations. This book is suitable for Christians, and especially for non-Christians--though some might react like the negative reviewer on Amazon, "I hate being tricked into reading about Jesus." Though that's not a bad thing. Seeds are still planted. This book focuses not on the coming of the Messiah. That has already happened long before we enter the story. It is set in a world that has many different religions. Which one is right? The religions presented in Light of Eidon have similarities to religions in our world today. This book is not, however, appropriate for the younger crowd. There is a lot of fighting and blood. There are descriptions of decapitations, sores, descriptions of evil, etc. I know that readers will be limited by their own imaginations in "seeing" these things, but it's still words and it still reaches into the heart. There is also a thread of romance in the story. There is one scene that made me squirm in my seat, and before I knew where it was going I was worried it would ruin my ability to recommend this book. If stories of romance cause you to falter in purity, then you may want to pass this book up, or at least commit to skipping those pages (since it is not long). It didn't go where I thought it would go, and it was a lesson that is useful for teaching. But I still recommend it with reservations. I recommend it for mature teens and adults. The Orion Nebula, also known as Messier 42 or NGC 1976, is called a diffuse nebula. Being the closest one to Earth, it is about 24 light years in diameter and by the far the brightest from our vantage point. Credit for the picture is to the Hubble Telescope. I hear the voice of the Spirit crying out, “Grant Me My freedom! Allow Me to break out of the confining box in which you have placed Me. Permit Me the liberty to be the Great I Am in you, through you, and around you in the manner for which I long. “Unbelief in My ability restrains Me. Agreement with the enemy's lies and confidence in his cunning shuts Me out. Religious notions and traditions alienate Me. Yet, no matter how defiant they may be, I will break asunder these adamant bars if you will simply choose to surrender and give Me permission to have My way. I tell you truly, you can trust Me! Is there anything greater than knowing God's Word? I love knowing that when the enemy comes, I have an arsenal of weapons to throw back at him - God's Word. It is so important that we know it, truly learn it, committing it not only to our memories but our hearts as well. 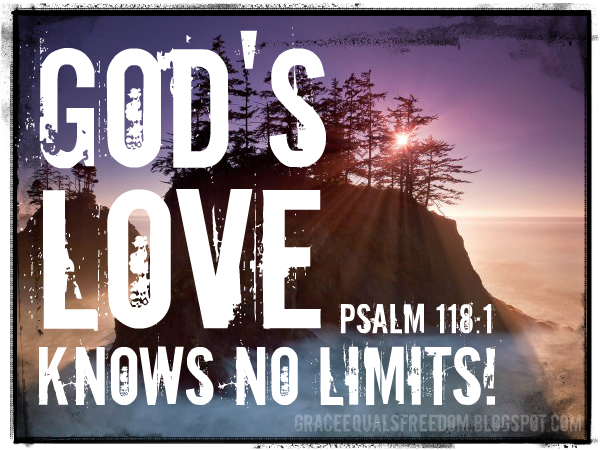 Psalms 119:10-11 says, "I see you with all of my heart; do not let me stray from your commands. I have hidden your word in my heart that I might not sin against you." 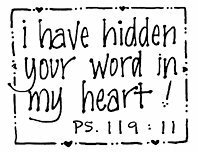 What does "I have hidden your word in my heart" really mean? You can't place the actual bible in your heart. It is not an organ that you need to live physically. So let's take a minute and break it down. What does the word hide or hidden mean? Hide /hīd/ Verb: to obstruct the view of; cover up, to conceal from sight; prevent from being seen or discovered, to conceal from knowledge or exposure. So basically the word "hide" means to conceal. Why would you want to conceal or hide something? And what would you conceal or hide? Maybe your most treasured things? If I knew today that I was going to have my house broken into I would hide my most valuable, treasured items so they were protected. Matthew 6:19-21 talks about storing up treasure in heaven rather than on earth. "For where your treasure is, there your heart will be also." Let me ask you, do you treasure the word in your heart? Do you love it? Do you do what ever you can to have it? Having the word in your heart helps you stand against the devils schemes and standing against the trials and temptations. Ephesians 6:12, "For our struggle is not against flesh and blood, but against the rulers, against the authorities, and against the powers of this dark world and against the spiritual forces of evil in the heavenly realms." There have been so many times in my life that I have needed to stand on a solid rock and remember what God has done for me and that He is there to be my strength. "He gives strength to the weary and increases the power of the weak. But those who hope in the Lord will renew their strength." Is. 40:29,31. Knowing what God's says and standing on His promises are powerful tools for all believers. I love infomercials. I can't help it. Especially the ones that involve before and after pictures. Just the other day I was up very early, flipped on the TV and I saw the most ripped individuals sweating to death while doing The Insanity Workout (which I have now ordered and am praying I can do it!) The after shots and the stories of the participants were amazing. Most of them started out very overweight and out of shape, but in just 60 days, most had lost 20 or so pounds and were stronger than they ever imagined they could be. Transformation. 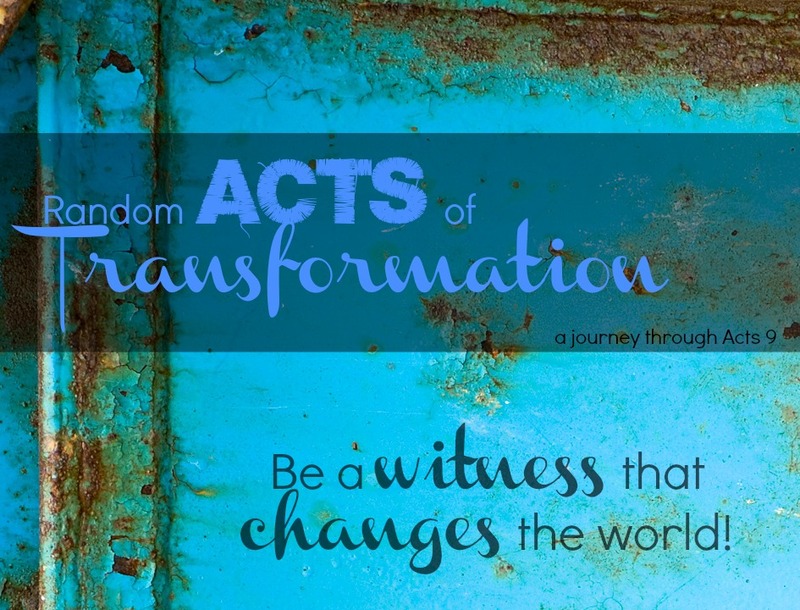 I don't think there's a greater transformation story than that of Saul in Acts 9. As you may already know, Saul is called Paul later in Acts 13:9. Basically the story is this, Saul is fired up - he hates this new faction of believers rising up declaring Jesus as the Messiah. He goes to the high priest and requests letters granting him the right to arrest, or possibly kill these people and then he sets out on his deadly mission to bring Jerusalem its new prisoners. Have you ever met someone who was too smart for their own good? This was Paul. He was Roman by birth and was afforded all the tutoring and fine things available. He was very religious and prided himself on his intellect. He once even referred to himself as "of the stock of Israel, of the tribe of Benjamin, an Hebrew of the Hebrews; & a Pharisee." He certainly thought alot of himself. He probably thought his life was perfect, that he had 'it all'. But, he didn't know what God knew...that Saul was in dire need of Transformation. With his destination close at hand, Saul was blinded by a bright light. 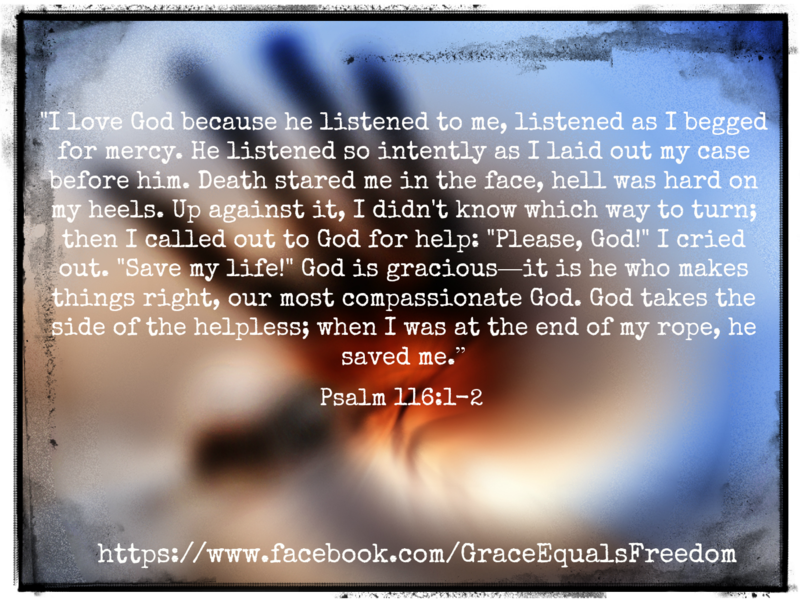 Falling to the ground, he heard a loud voice say, 'Saul, Saul why are you persecuting me?' I'm sure Saul was thinking he had everything together - he did all the right things, ate all the right foods, talked to all the right people and yet something horrible was happening to him (or so he thought). He knew of nothing else to say except, 'who are you'?? I love that! "Who are you?" I can admit that so often when blinding trials come my way, I'm the first one to throw blame on others - my husband, my kids, the neighbor down the street with the largest dog in the world, or even satan. And most of the time, I'm right. I mean, God would never put me through 'the crap of life'! Would He? Surely, it has to be because of something else...I've done everything right! Have you ever said this to yourself? Be honest! There comes those times when we really have to take a good, long look at ourselves. When nothing else seems to be working, we should sit down and reevaluate ourselves, our hearts, and our relationships with Jesus. Sometimes, we are in need of Transformation and we don't even know it. 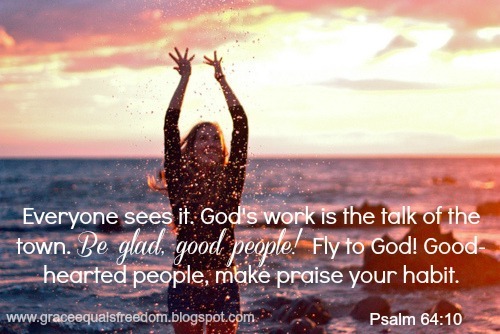 God is ever changing us, He is working in us every day that we live to make us a better version of ourselves. 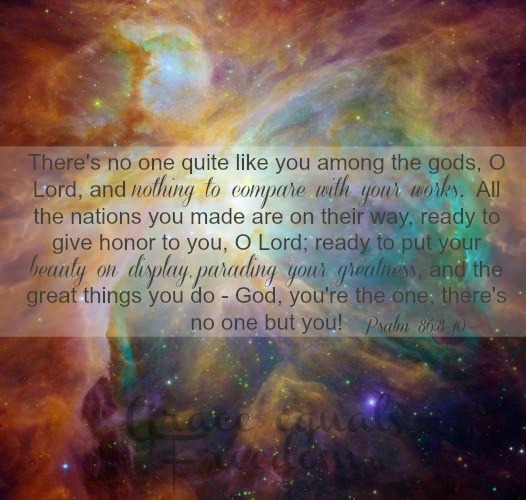 Only He knows the greatness He designed you to be and He wants to share that with you. He wants you to merge into a blinding light for all mankind; shining the light of Jesus through to every soul on earth. Sometimes, we need a fire lit under our butts to do so. And sometimes...He has to light that fire. Friend, if there is something in your way today I urge to take a few minutes with the Lord. Have a frank, open discussion with Him. Ask Him to show you 'who He is'! I promise He will. He will flood your heart with peace unlike you've ever known before. Let Him transform you - let Him open your eyes, hearts and ears to His word. 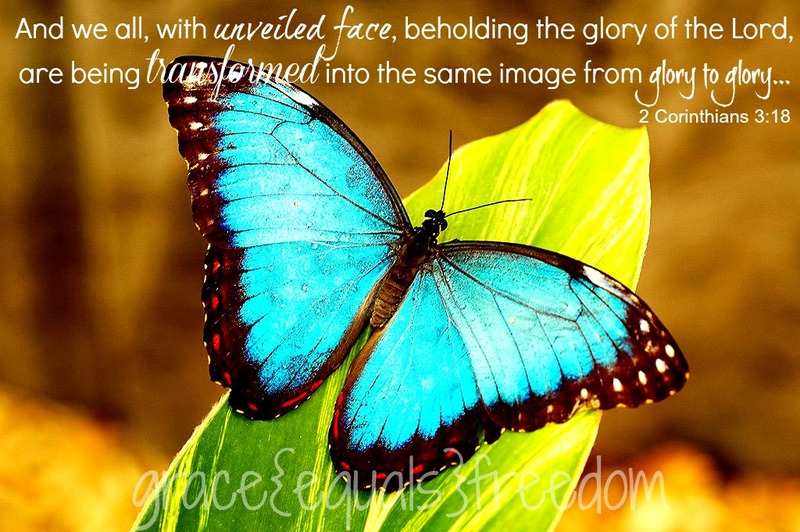 Know that even though you may be blinded by life, God is there to transform any situation - He will bring good out of it. Please join us tomorrow for day 2. I have a friend who always makes mention of the 'healing wings' of God. She loves the imagery she gets and the safe feeling she feels in knowing that God is protecting her from all the crap of life. 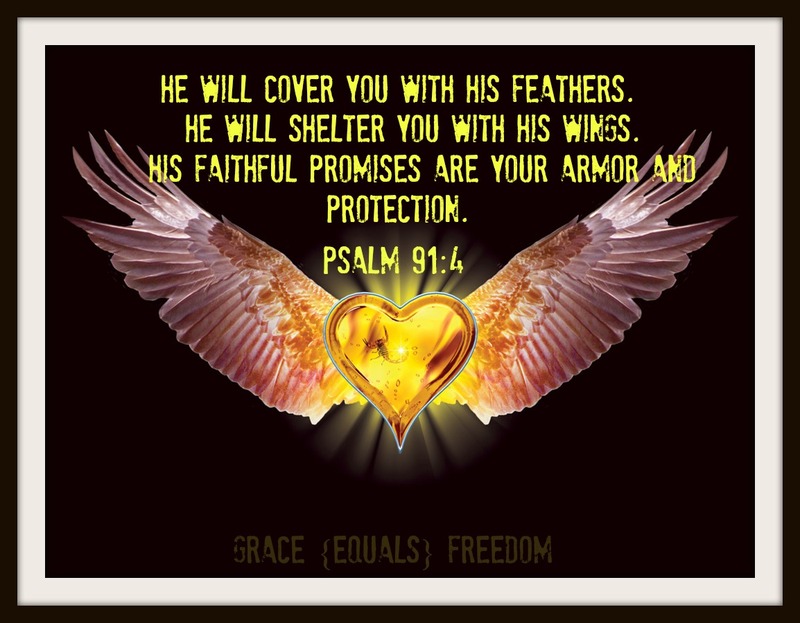 Even though she knows she's not immune to life - she knows that God's wings are sheltering her through whatever comes. Be blessed today as you meditate on this verse - rest in the fact that He IS there, holding and loving you even when things aren't so lovable around us. 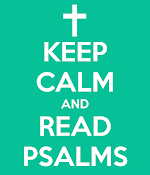 Psalm of the Day - August 19. Sounds easy enough, huh? Just don't fear. Well, it's not that easy. 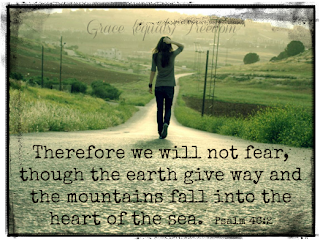 It's not easy to convince ourselves, when the world seems to be falling apart all around us, that God is in control. But, the truth is, He is. Hold on to that. 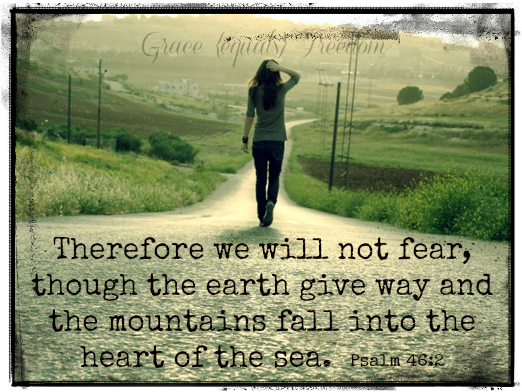 Grab on to the truth before you and know in your heart that God has NOT given you this fear. says that God does NOT give us the spirit of fear - but instead He gives us power, love and a sound mind. When you feel there is no other way out, just rest. When you've exhausted all means of fixing 'it' yourself, there's only one other recourse - to sit. Know in your heart of hearts that what God says is true. Ask God to help you focus that truth in your thoughts - He will help you, strengthen you and give you the faith you need to help you face tomorrow. I know it's not easy, nothing is. But know this - He will NEVER leave you. He is there right now wanting to ease your mid and love you through this trial. This is a season of the mighty outpouring of My Spirit. A season of unprecedented abundance of My Glory and presence upon planet earth. I am invading earth with Heaven right now! There has never in the history of creation been such a time as this. And there never will be again. I am raising up a people who will press into Me and obey. They have trained their ears to be sensitive to what I am saying in this season. These are the ones who are willing to hear what I have to say, and to accept it. No matter what the personal cost involved with hearing My unadulterated truths and acting on them immediately, brings to them. These are a people who hear My voice and do what I say. They proclaim My truths and walk in them. They humble themselves before Me and have proven to Me time after time, test after test -- that they love Me most of all. They are radicals, and they are willing to serve Me no matter what I ask of them. With contrite hearts they press into Me and receive fresh manna from My throneroom and release it on planet earth. This is My mighty army! The ranks are filled with people who are carriers of My divine nature. You do not need to be ‘perfect’ before you can serve Me wholeheartedly. Face it you will not be perfect until you leave the fallen nature behind and get to Heaven. So serve Me wholeheartedly right now -- where you are -- warts and all. You will be amazed at what I can do with a shapeless peace of clay. Do you not know that I am The Potter? When you surrender completely to Me, and Trust Me absolutely you become a perfectly good lump of clay for Me to use. The warriors that I am raising up have keen eye sight in the spiritual realm. They see that My Spirit is active and moving mightily upon planet earth. I am releasing visions to those who have eyes to see; specific and detailed visions of Me moving powerfully in this season upon planet earth, bringing change, manifesting supernatural power with signs, wonders and miracles. They see My Glory clouds coming to release an abundance of My rain upon planet earth; in every Nation, and from sea to sea. The people I am raising up act boldly and with abandon. With great faith they will release upon the earth all I am revealing from Heaven. I desire that all of you would draw close to Me and catch the wave as I release My abundant Life, and My Glory upon the earth. Oh sleeper wake Up! I AM HERE! I am with you! I have come for you! Press into Me. Look for Me, and Listen to Me! Enlist in My army, and take your marching orders from ME, your Captain!